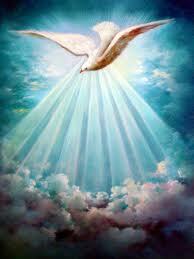 I want to blog today about the Holy Spirit again because He is so important to our daily lives. He’s so important that Jesus told His disciples not to go to Jerusalem to start spreading the gospel…but to wait for the Holy Spirit. They needed His knowledge, wisdom and power…and so do we. We are disciples of Jesus Christ and we are supposed to make more disciples. How can we do this in a dynamic and powerful way without the full power of the Holy Spirit? How can we have more power in our personal lives without knowing all that the third person in the trinity can do? Are you a Christian? Then the Holy Spirit is living inside of you right now! John 14:16-17 And I will ask the Father, and he will give you another advocate to help you and be with you forever— 17 the Spirit of truth. The world cannot accept him, because it neither sees him nor knows him. But you know him, for he lives with you and will be in you. 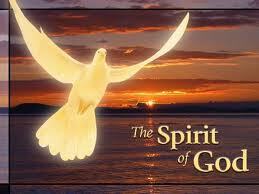 The Holy Spirit is a real living spirit being. Although He doesn’t have a form that we can get a clear picture in our heads with…He is the third person in the Godhead and the bible has given many examples of His manifested presence here on earth. This is my own feelings and thoughts about the Holy Spirit. I love the Holy Spirit…but I worship God. The Holy Spirit reveals Jesus to me and Jesus points me to God the Father. My interaction with the Holy Spirit is very sensitive and personal. I try to be thoughtful and sensitive about what He does for me. I try not to offend Him because I know He is at work in me for my good. You can get mad at Jesus and people have not only gotten mad at Jesus… but talked about Him…beat Him…even killed Him and He let them do it and He forgave them. I try not to offend or sadden the Holy Spirit. God gave Him to me to help me. What if you bought someone a beautiful and expensive gift and they turned around and smacked you and told you off. You would be stunned and offended by their action towards your kind gesture. Well if God sent the Holy Spirit to help us and we dismissed Him… I believe God would be VERY offended by the rejection of His wonderful gift He gave us. Because Holy Spirit is invisible to me and a quiet voice in me… if I’m not aware of Him at the moment…I tend to forget about Him. Or I may be doing something and I don’t want to hear from Him…like when I’m shopping or mad at someone. He’s probably telling me to do the right thing…but I tune Him out…ignore Him. On the other hand…When I’m going through a hard trial… I really listen out for Him to speak to me. As I’ve gotten older and more mature in the Lord… I feel like I’m more aware of His presence and I feel the need to STAY aware of Him at all times. I also find it easier to obey the Lord commands if I keep my mind on Him and follow the lead of the Holy Spirit. Embrace the Holy Spirit of God…let Him be that integral part of your life. Learn to feel His presence and His movements and instruction in your life. Let Him impart God’s love in your soul…this will keep you running into God’s arm and growing your personal relationship with the Lord. The Holy Spirit will help you worship the Lord. We need the Holy Spirit so much. He has sooooo much to offer us. Close your eyes and feel His presence over you and in you. Look for Him to fill your spirit up with more of Him. Look for His unusual way He makes the bible come alive to you when you read it and even reminds you of God’s words at a time when you need God the most. Remember always that He is the third person in the trinity…a spiritual being who has His own personality and He is a part of your life and wants to be fully involved with you every minute of every day. Let Him have His way with you. 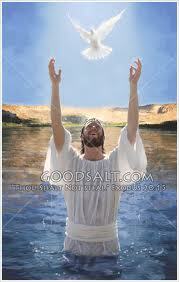 God loves you…Jesus loves you…The Holy spirit loves you…You are soooo blessed! 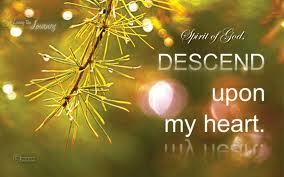 Message for today: Desire more of the Holy Spirit of God.